Will Farmer Producer Organizations address Agrarian distress? India is witnessing a drastic decline of farmer income in relation to its GDP. While over 60% in India is employed in agriculture, the contribution of Agriculture to GDP is merely 15%. The gradual declining share of Agriculture to GDP points to the upcoming situation. The declining income, farmer indebtedness and farmer suicides point to this emerging crisis. 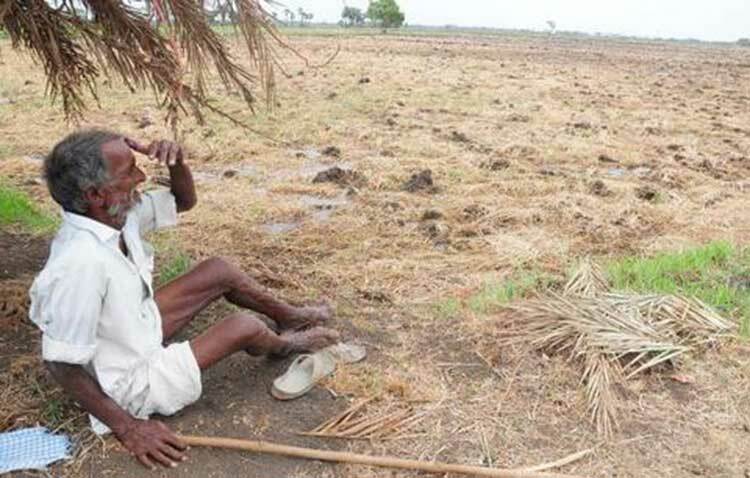 It is estimated that over three lakh farmers have committed suicides in India. The role of neo-liberal policies in increasing suicide rates cannot be ignored. The neo-liberal policies involved opening the seed, fertilizer and pesticide companies to the global agribusiness companies, trade liberalization and reduction of fertilizer and pesticide subsidies which directly increased their input costs and reduced net income. In the recent past, the concept of Farmer Producer Organizations (FPOs) has emerged. This is being projected as a ‘solution from below’ to address the challenges faced by the Small and Marginal Farmers. The premises on which it is based is: a) Small and Marginal Farmers get low remunerative income; b) Reason for low net income is because they are not connected to the markets – they purchase agricultural inputs at a higher cost and sell their produce at a lower cost; c) this happens as a result of lack of understanding of how markets work; d) collectivising the farmers under FPOs and sensitising them to the concept of markets will build their market intelligence; e) collectivisation will make the process of aggregation of produce an easier task – selling the aggregated produce in higher fetching markets rather than middlemen will result in higher revenue and thus higher income. Similarly direct linkage with agriculture input companies will reduce their cost towards agriculture inputs; f) similarly farmer engagement in activities beyond production into processing, value addition and marketing will yield those better returns. In India, a large number of FPOs are being formed. There are about 700 FPOs which have been formed through support from Small Farmer Agribusiness Consortium (SFAC) with a membership of 7, 01, 962 farmers in these FPOs. A large number of Non-Governmental Organizations (NGOs) with support from SFAC are forming FPOs. This is being projected as a solution to Farmer issues. The aim of SFAC is to increase incomes of small and marginal farmers through aggregation and development of agribusiness. It also aims to encourage development of small agribusiness through facilitating value added processing and marketing linkages. The premise on which it is built up is based on certain assumptions. Firstly, that market is supreme – the only way to survive is by understanding the principles of how the markets work and so is the case with farmers and agriculture. Secondly, the responsibility for emerging out of agrarian crisis for the farmers lies with themselves – the only solution is market solution which the farmers have to understand, imbibe, apply and emerge out of the situation. The only help is self-help. Thirdly, the reason for poor status of the farmers is because they do not involve themselves in activities beyond production. If they can move up the value chain into processing and selling in the right markets, they can get a better remuneration. Fourthly, the responsibility for addressing farmer situation no longer lies with the State. State subsidies towards agricultural inputs and offering minimum support prices (MSP) are an outdated idea, which needs to gradually be done away with. Subsidies are bad and it’s only doling out freebies. Fifthly, in the long run farmers have to be left to themselves to deal with their own issues. They need to learn of taking care of themselves in the open and global market. Market by itself is not bad but one only needs to know how to play the game in the market. Sixthly, expansion and integration of global markets is a reality. The only solution is how best to adapt to it and benefit from it. Seventhly, the role of state is no longer that of a protector of farmers from exploitative markets but of improving their capacities to become competitive in the market. Rather than solutions from below, FPOs are only neo-liberal solutions emerging from above. It only aims to expand the supremacy of the market and make the farmer a player in the open competitive market. It aims at creating an atmosphere where traditional linkage with middlemen is broken (which is good) but linkages of farmers get established with agri-business companies. Direct linkage of agri-business with the farmers will only expand their spaces of getting easy access to produce and reduce their procurement costs. Aggregated produce at FPO level will only make their tasks much easier. FPO promotion also represents a gradual abdication of state responsibility for the welfare of the small and marginal farmers. It is a way to give up ‘socialist idea’ in whatever little form it exists. Collectivisation is only an illusion not for the promotion of the concept of ‘cooperation’ but merely for adapting to ‘competition’ in the neo-liberal environment. It is the expansion of neo-liberal thinking of becoming competitive. Another illusion that is being created is that of farmers creating and owning their own producer companies. While the idea of farmers running their institutions and even their own companies seems a radical idea, can they really compete with big corporates who come with huge volumes of capital? How many will actually compete and how many will end up being mere aggregators or suppliers of processed produce to big agri-business companies need to be seen. Will the idea of FPO benefit the farmer more rather than the big agri-business companies still remains a question. But it seems agri-business companies will benefit more from this process rather than the farmers. FPOs started getting formed under a situation, where farmer suicides had become common. Agrarian distress was also increasing with agriculture becoming expensive and real net income declining. Neo-liberal policies already had affected them badly. But will an addition of another concept to this neo-liberal idea, will in anyway help them out of the crisis. Time will only tell. But this seems unlikely. It may further accentuate the agrarian distress, unless state takes up the responsibility and a control is exercised over the market. Yenamandra Harini works as a Tutor. She has done her Masters in Commerce. Farmers need fair prices for their crops. While purchasing seeds they are exploited by corporates and when they try to sell their crops, often middlemen come in their way. So, farmers need direct access to the markets. The co-ops may help them in receiving fair prices for their crops .